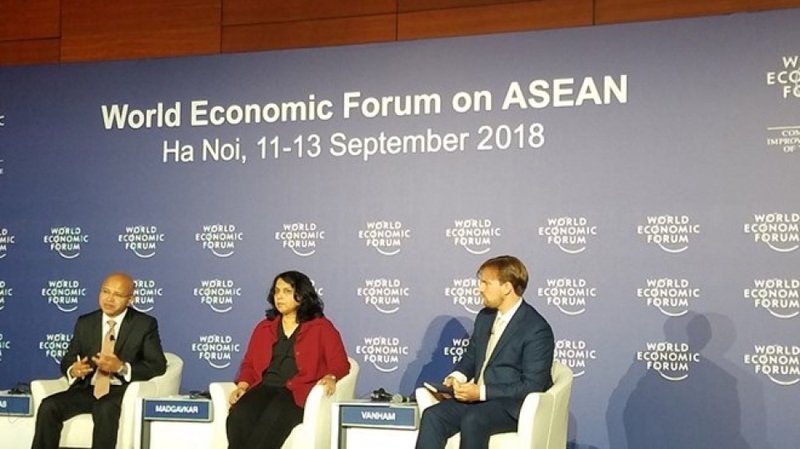 The report entitled “Outperformers: High-growth emerging economies and the companies that propel them” was launched on September 12 as part of activities in the framework of the ongoing 27th World Economic Forum on ASEAN in Ha Noi. Vietnam is listed among the 11 economies that grew at a faster pace for a shorter period - 5 percent annually in the 20 years from 1996 to 2016. They are Azerbaijan, Belarus, Cambodia, Ethiopia, India, Kazakhstan, Laos, Myanmar, Turkmenistan, Uzbekistan and Vietnam. Seven achieved more than 3.5 percent per capita GDP growth over 50 years, between 1965 and 2016. They included China, Indonesia, Malaysia, Singapore, the Republic of Korea and Thailand. According to the report, the 18 outperformers have almost twice as many large firms (defined as publicly listed ones with annual revenue over 500 million USD) as other developing countries, adjusted for the size of the economies. The McKinsey Global Institute (MGI) is the business and economics research arm of McKinsey & Company. It was established in 1990 to develop a deeper understanding of the evolving global economy. The Lauder Institute at the University of Pennsylvania ranked MGI the Number 1 private sector think tank in the world in its 2017 Global Go To Think Tank Index.